The popular kids’ club returns with free entertainment, interactive games, crafts and educational activities designed for parents and their pre-school aged children. Learn all about animals with special guests, featuring Mickaboo Bird Rescue. Enjoy live performances by Andy Z, the San Jose Public Library and Ballet San Jose and participate in activites with Children’s Discover Museum, Let’s Play in Spanish, Club One and more. Take a photo for dad for Father’s Day in Santana Row Park for $10. Saturday, June 21, 5 to 7 p.m. Enjoy wine and food tastings, a signature Santana Row wine glass and exclusive discounts to shops and restaurants, all to benefit the Bill Wilson Center, a nonprofit organization that provides counseling, housing and youth shelter for children, teens and young adults. The evening also includes a wine tasting seminar with ABC-TV’s Spencer Christian and features art by students. Tickets are $35 and available for purchase at SantanaRow.com or inside of the Concierge Center. Santana Row partners with 100 OCT to present Cars & Croissants on The Row, a monthly gathering for exotic car owners and car enthusiasts. On the fourth Saturday of the month, exotic car owners are invited to park on Santana Row Boulevard from Alyssum Lane to Tatum Boulevard, display their car and mingle with other enthusiasts. This event is free and open to the public. Wednesday, July 2 and every Wednesday in July and August, 6 p.m. to 8 p.m.
Summer gets a bit hotter than usual at Santana Row with the introduction of Retail Happy Hour, an invitation to shoppers to stop in different stores each week for music by DJs, raffles and exclusive discounts. The event is free and open to the public. Each week Santana Row will create a “passport” that lists the participating retail locations. The passport will be available online at SantanaRow.com, through Facebook, inside of participating shops and at the Concierge Center. Friday, July 4, noon to 4 p.m.
An annual Santana Row tradition: enjoy big band entertainment in Park Valencia, stilt walkers and balloon artists. Browse racks of designer clothes at the annual sidewalk sample sale and enjoy exclusive discounts. Celebrate summer with a Santana Row style party! Enjoy live entertainment from Andy Z, The San Jose Public Library, Let’s Play in Spanish and Ballet San Jose. Enjoy activities with Children’s Discovery Museum, Let’s Play in Spanish, Club One and more. Free face painting, balloon animals and snacks from Happy Baby Brands! Saturday, July 12, 7 p.m. to 8 p.m.
Opera San Jose will present a spectacular al fresco concert of arias and ensembles at Park Valencia. Wednesday, July 30, 6 to 9 p.m.
Stroll the Row, sample 20-plus beers and enjoy shopping and dining incentives at the second annual Beer Walk! 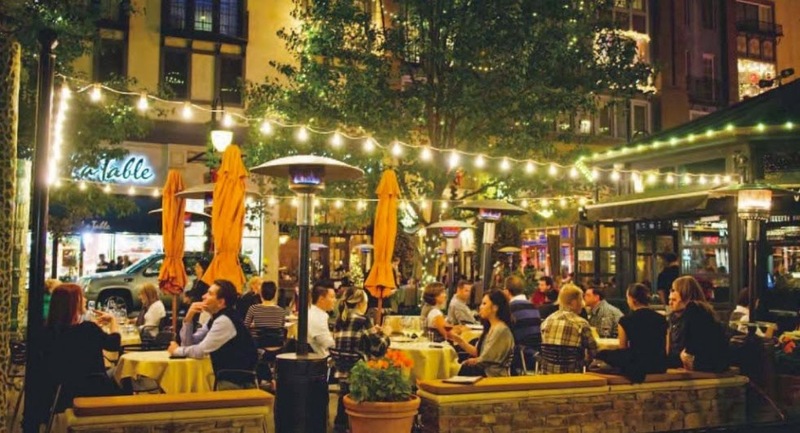 Cool off with a stroll around Santana Row while tasting brews from microbreweries. They’ll be stationed in a restaurant or shop for easy sipping and shopping! Tickets are $30 and available at www.thebeerwalk.com.